Many of the things taken for granted in life – the ability to pick up a pen carefully, walk or jog long distances, or even watch colour presentations – are the legacy of both our primate origins and the unique adaptations that have evolved in humanity’s lineage on the substrate of this ‘primateness’. This course will introduce humans as primates and explore how natural selection has acted to shape four key characteristics of humans: our three-dimensional colour vision, our unique bipedal locomotion, our large and complex brains, and our colourful, hairless and very sweaty skin. The emergence of these traits will be contextualised within our understanding of primate and human origins and evolution in Africa and beyond. Rebecca Ackermann is an Associate Professor in the Department of Archaeology at UCT, and a recipient of the UCT Distinguished Teacher Award. 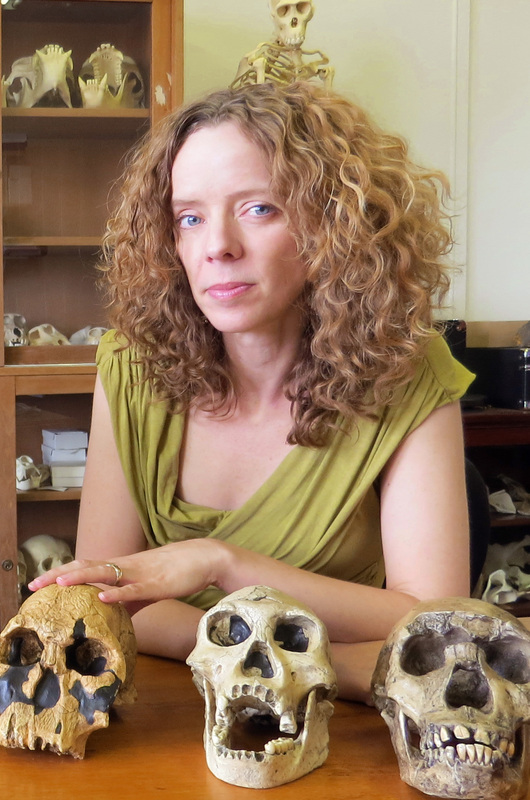 She received a Masters degree in forensic anthropology (University of Arizona) and a PhD in physical anthropology (Washington University in St. Louis), and was a post-doctoral associate in anatomy (Wash U.) in the USA before taking up her post at UCT in 2000.She and her research group are focussed on understanding how adaptive (selection) and non-adaptive (e.g drift, gene flow) evolutionary processes shape the phenotype in mammals, with an ultimate goal of providing a foundation for detecting these processes in the fossil record of primate and especially human evolution.